I think I may have really lost it when naming this post. In any case, today I wanted to show you another Brazilian polish that I got in a swap with Fran of Francirocks. This is Colorama Absinto. According to Google translator, Absinto means Absinthe which is a green aromatic liqueur. I tend to picture Absinthe much brighter and greener, but I'm no liqueur expert so we'll leave it at that. I would love to know your thoughts on this manicure! Love the out come. I like seeing how you get inspired. Love it. love to see how your inspiration comes about! 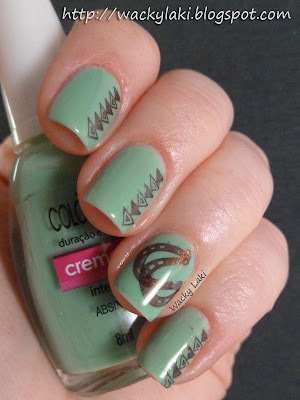 very cute, I love the color and the stamping! Very nice--love seeing the inspiration photos. I'm with you, absinthe is much more lime green, not minty. 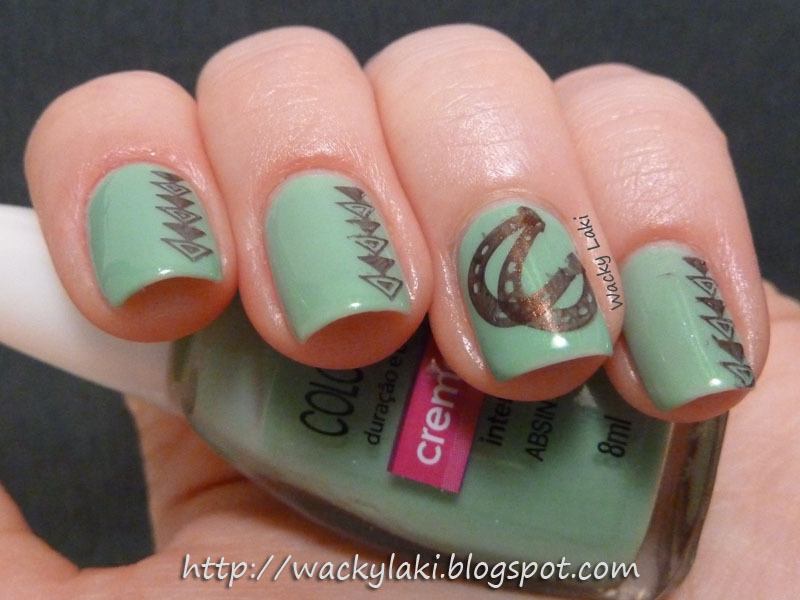 This is one of my favorites nail polishes, I am very happy you liked! 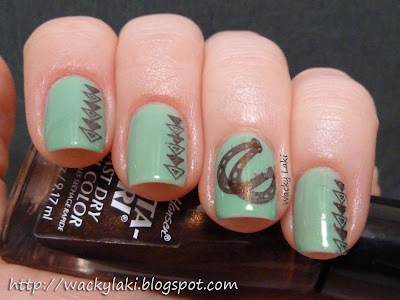 love this manicure.very inspiring.love reading your blog. 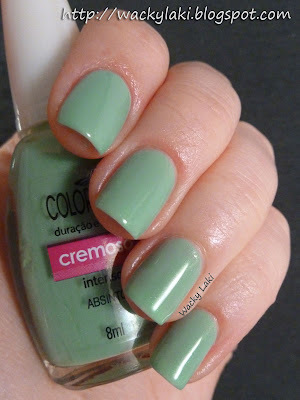 This is the first time I comment, but I could not stand ... absinthe of Colorama is a polish that I loved from the first time I saw him! the brand seems like a very good value for money and yet in my country is considered a cheap nail polish and low quality (here in Argentina if not OPI, Essie, Sally Hansen .... or imported, is not considered quality but I think differently, there are brands with excellent quality and low cost) ... I have read criticism calling it common and without grace! I think it's beautiful color and in fact I have many Colorama in my collection ... 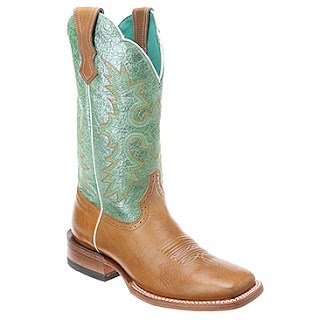 I really love the combination of colors you used and cowgirl boots are beautiful! Anyone else find this cute/funny?